This is a step by step how-to book for making modular origami models based on polyhedra. It seems like there are myriad modular origami designs out there these days; anything that joins goes. However, in this book, Meenakshi Mukerji's sixth, she still has much more to offer, with the designs presented some of her best yet. After a successful Exquisite Modular Origami, this second volume is a natural follow up. 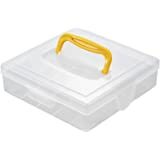 Handpicked by the author, the models are not only beautiful, but have been subjected to rigorous design criteria such as sturdiness of the locking mechanism, easy starting paper proportions, mostly squares, and absence of inserts or separate joining units. The aesthetic appeal lies in clean well defined lines. The designs are all-new and like before, works of three new, very creative guest artists have been included as well. In grayscale, the book is practically a bargain because it is as effective as folding from a color book. Color photos of most designs are on the cover for your viewing pleasure. 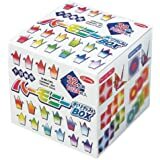 Just when you think you are running out of satisfying modular origami to fold, here now you have dozens more exciting new ones to enjoy. Do visit the authors popular website www.origamee.net for more ideas and color photos. 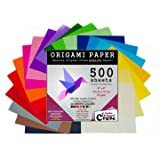 Zen Origami: 20 Modular Forms for Meditation and Calm: 400 sheets of origami paper in 10 unique designs included! Meenakshi Mukerji (Adhikari) was introduced to origami in early childhood. She rediscovered origami in its modular form as an adult quite by chance in 1995. This newfound mathematical and structural side of modular origami rekindled her passion for the art, and soon after, she started designing and displaying origami on her popular website origamee.net. In 2005, OrigamiUSA noticed Meenakshi's work and presented her with the Florence Temko award. In April 2007, her first book Marvelous Modular Origami was published followed in quick succession by four more books. She has been a featured artist and special guest at many origami conventions both in the USA and abroad. Although known for modular designs, she has published a book of her single sheet works as well. Meenakshi regularly contributes to various origami journals and exhibits her work as well. She is a member of Origami USA and British Origami Society, and an editor for OrigamiUSA's online magazine, The Fold. Born and raised in Kolkata, India, Meenakshi obtained her BS in electrical engineering from the Indian Institute of Technology, Kharagpur, and a MS in computer science from Portland State University, Oregon. She worked as a software engineer for more than a decade. She is now at home in California devoting her time to family, designing and authoring origami and, of course, spreading the joy of origami. I am 50 years old. My mother spent many of her formative years living in Japan. I cannot remember a time when I did not use Origami the way kids now use "fidget spinners." Origami helped to keep me sane. With the advent of the internet, we all progressed a bit from basic cranes (I will never understate their importance, but they *are* basic) to what the masters are doing, and this progressed to a more thorough understanding for us all. The art moved from simple (or complex) animals and such, towards modular designs. I really embrace the process, but more importantly, so does NASA and Ikea. If you are playing with basic cranes, then you need to buy the first volume. The folds are easier, and the assembly is easier. This book moves a bit beyond. I would suggest a basic understanding of tesselations. I definitely like the links to websites and videos that will help you to learn the basics behind each model, but I fear they may become outdated over time. I can only hope that the editors help maintain/update the links as necessary. Meenashi Mukerji is a wonderful resource for beautiful and satisfying Origami. She makes things simple with her diagrams and instructions. She has the color photos on the cover keyed to diagrams. She lets you know the size f the model when made with a certain size paper. She is the kindest of Origami authors! 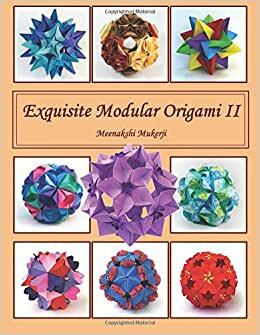 Wow very exciting Modular Origami Volume 2 has so many terrific variants some of which have moving parts or changing parts. This is a terrific book with a large variety of shapes & designs. Lots of pictures and step by step instructions. I love everyone of Meenakshi's books and this one is no exception. The directions/diagrams are clear. There is a variety of skill levels in this book. A solid addition for any modular origami enthusiast. Even better than the first volume and many variations! I've been able to complete about 8 of the designs in here and hope to challenge myself even more with me re complex options in this book!